How often do horses surprise you with how intelligent they are? 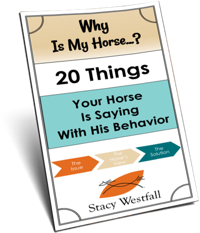 “After watching you work with Jac my question is; How often do horses surprise you with how intelligent they are?”-Holli H.
You have discovered the key reason I love training horses! 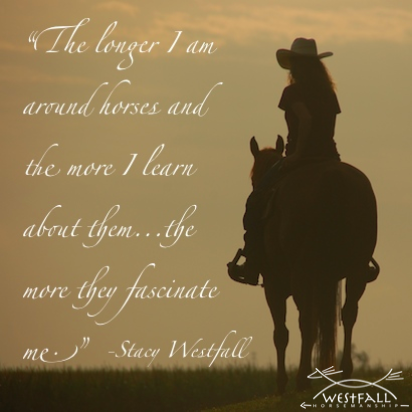 The longer I am around horses and the more I learn about them…the more they fascinate me. The better I can read their body language, the more I understand them, which leads to more fascination, more study, more understanding and the cycle continues. There are spots in the Jac episodes that capture perfectly how intelligent horses are. Some are easy for me to feel with the horse but are more difficult to appreciate on video. Others are even easy to see on video, for example Episode 26. The following two episodes contain moments where you can really see how intelligent horses are. The two videos after that are just plain funny! My favorite three minutes that illustrate this perfectly are found in the beginning of Episode 26. It is easy to see how Jac’s choices and actions here are both wrong as well as a fascinating glimpse into how his mind is working. At 7:45 in this video you can again see Jac making a ‘mistake’ which is really Jac trying very hard to go to the pool…something he has been rewarded for and is trying to repeat. On the surface it looks like he is being bad, when really, he is trying very hard to be good! If those videos don’t convince you of how intelligent horses are then check out the following two videos. While they are not my horses they also perfectly illustrate just how wonderfully intelligent these horses are. Enjoy! This is the best video of a horse escape…maybe ever! ← My first campground stay…but NOT my last! #Fleetwood Family here I come! I believe, a persons ability to present a request in a way the animals can understand has a major impact on the animals apparent intelligence. Of course some animals learn faster and easier than others, but it’s the person’s responsibility to make adequate changers for different personality’s. RECOGNITION is the key word. With the help of a kind person a slow learner can out-perform a talented horse. A fast easy learner can be easily destroyed by a persons lack of understanding. ” Great intentions become tragic action when delivered without careful thought”. Sadly slaughter yards are full very intelligent horses that people have failed to recognise. Intelligent or not it’s sad to see them misunderstood and fail to reach their full potential. Our animal friends behaviour is most definitely a reflection of ourselves. One very cold day…40 below…I was a bit late getting home to let the horses in the barn. I ran in the back porch, put my boots and barn coat on. When I opened the door to go to the barn, the horses were standing at the door. My cagey old guy had lifted the chain over the gate post,opened the gate (towards himself) and had the other equines all standing at the door . If horses have expressions, it certainly was “we are cold,where have you been?” This had never happened before and did not happen again. Mine would be all of the above. 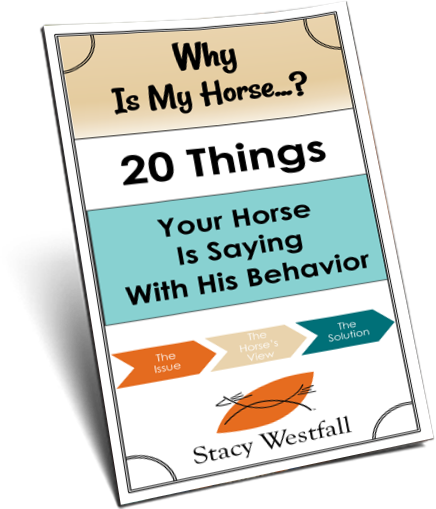 I have three horses (ranging in age from 17 down to 4) and all with very distinct personalities. All of them very intelligent. Everyday! Episode 26 is my favourite episode of Jac! I now recognise when my 3 year old has done the same thing and I love the ‘conversations’ we are having. You have only to watch and listen to them – they will tell you heaps! ha ha…I hope you know I am just kidding with ya….but I am seriously interested in the answer!!!!! will we get it soon?? ?